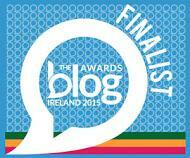 Today we are chatting with Kellie, Mum of two and blogger at Mom Cool Beauty. I have 2 children , both boys and both by c section. Can you tell me how long ago it is since your C-section occurred? It has been just over two years. At what point during the pregnancy / labour did you find out you would require a C-section? On my 1st I found out the day after my due date as my son was breech but on my second I choose to have a section at 39 weeks if labour didn’t start by then. How did you feel when a C-section was suggested? Right before both c sections I was giving compression socks to put on in the ward and a gown i was brought over to theater and given a medicine to control stomach acid, my blood pressure was taken and temperature. 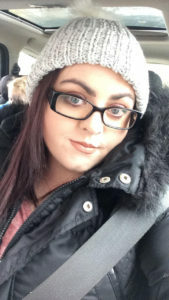 How did the actual surgery go? How did you feel during the surgery itself? During the surgery on my first I was ok I didn’t feel anything, on my second my body went into shock and I started shaking but medication was administered to control this and my son was born safely. Once baby was born were you able to keep hold of baby? How did the post birth minutes and hours progress? 1st time yes second time no, 1st time my son was in an incubator until we went to recovery I held him all the time in recovery, second time my son and husband were sent out and I was brought out an hour later and then he was taken out to be with me. How was your recovery following the surgery? If you have gone on to have further C-sections, could you give a brief summary of how many and how they went in comparison to the first? I have had 2 in total, my second was way worse recovery wise I actually remember the pains and the burning sensation that I don’t remember from my first c section, recovery from second was way harder and took a long time to get on my feet and climb stairs unaided. How do you feel about being a C-section Mum? Proud, I feel proud that I know I have brought my kids into the world in the safest way possible for us, I feel that I can be more honest when my 5-year-old asks where he came from, I tell him the doctors had to cut my belly to get him out (I’m not lying to him). Before I did feel guilty and undervalued but I have learned to not be hard on myself anymore I did what was best for us all. Anything else you would like to share or comment on about your C-section experience? A very big thanks to Kellie for sharing her journey. Make sure to also read more about her C-section experience and her thoughts on are C-sections the easy way out. Kellie is also on Facebook and Twitter so make sure to give her a like and follow. 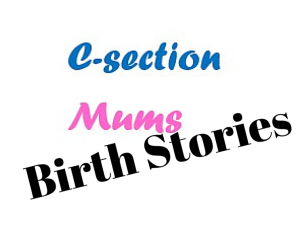 If you would like to see your C-section story on C-section Mums just get in touch: lucy@csectionmums.com or check out the details here.